Waffles. I don’t make them often enough and I’m not sure why. Oh, wait: I am sure why. Because they always seem like kind of a slow, slumbery, Sunday thing to make and I rarely have those kind of mornings–even on Sundays. But I found a recipe I’ve fallen pretty hard for. 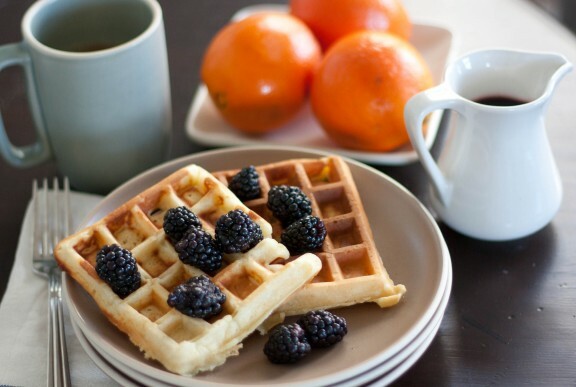 It’s an old-fashioned waffle recipe and you make the yeasted batter in advance, put it in the fridge for 12-24 hours, and it’s ready to go in the morning. I’ve actually kept the batter in my fridge for a few days and just pull it out, put a scoop on the waffle iron, and have a warm waffle to take in the car on the way to work. Beats a granola bar or banana any day. “All the times I’ve changed cities and countries, I’ve left a trail of things behind—clothes and worn shoes, crumbled maps with highlighted borders to tell me concretely where I am. I keep books and music, postcards. Over the years, I’ve also kept tasting notes, menus, jotted-down recipes, clues as as to what I crave that may help me know who I am, better understand how food has the power to ground and comfort in times of disarray” (61). While Kim was talking about how food comforts in times of confusion and uncertainty, it also grounds us in times of relative stability–it lends us that. Routine, order, ritual. Even meditation perhaps. And that, my friends, is reason enough to pull up a seat at the table and take a moment to eat in peace and quiet and to give thanks. 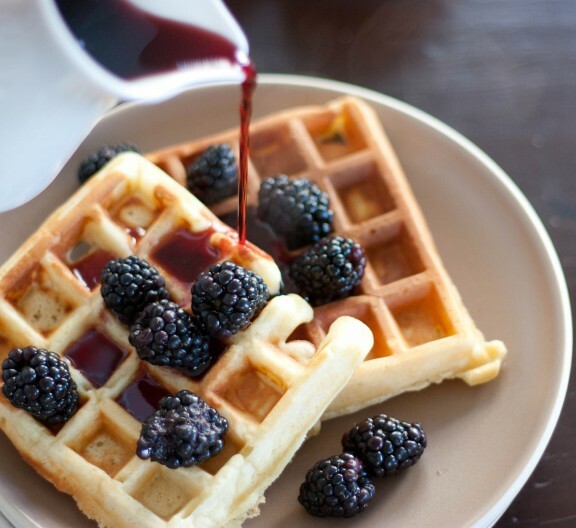 Give thanks for all of the above and give thanks for easy warm waffles with tart berries and sweet, fragrant syrup. Oh, and hot coffee helps. Pretty plates are nice, too. And I’ve been loving the Wailin Jennies in the mornings. Have you heard them? They’re good morning waffle music. And finally, the darn recipe. Please note that the waffle batter chills in the refrigerator overnight (not accounted for in the timing above), so plan accordingly. I used orange zest in this recipe, but lemon zest would be great, too. I think it’d also be interesting to experiment with the vanilla extract and use almond instead. You could also omit the extract altogether if you’d prefer. 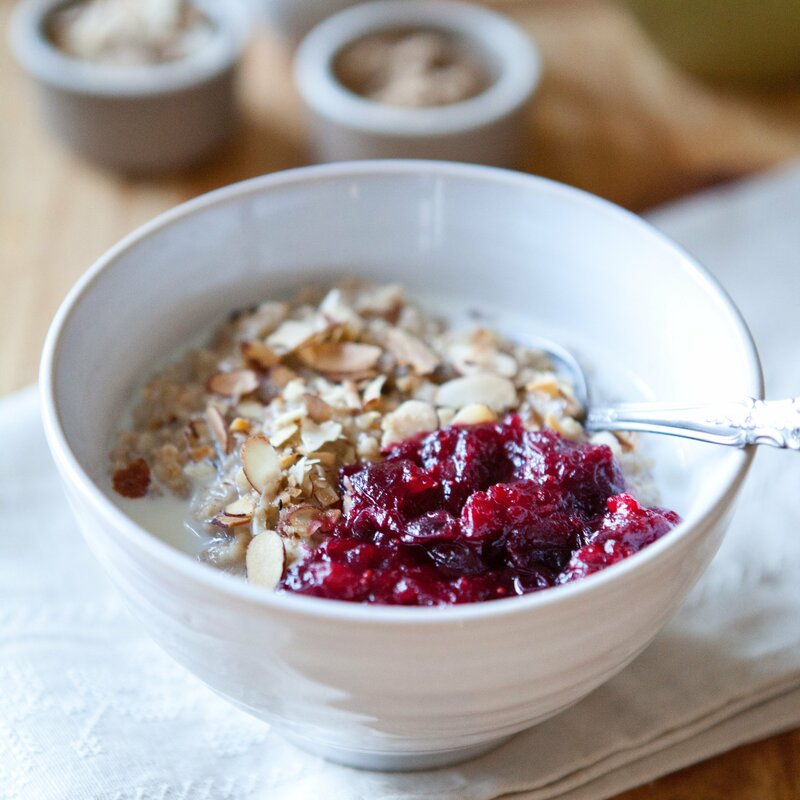 Make the pomegranate syrup: Combine juice and sugar in a small saucepan and bring to a boil. Reduce heat and simmer for 20 minutes or until mixture is reduce to one cup. Stir frequently. Remove from heat and cool. Store in a tightly closed car. This will last in your refrigerator for up to two months! Make the waffles: In a large bowl, stir together the flour, sugar, yeast, vanilla and salt. Add in the milk, eggs, and oil and beat with an electric mixer until thoroughly combined. Cover the batter loosely with plastic wrap or a tea towel and chill overnight or up to 24 hours. Stir the batter before using. Preheat and lightly grease your waffle maker. Pour about 3/4 cup batter onto waffle iron and close lid quickly; do not open until done. Follow the manufacturer’s instructions for your particular waffle iron. When done, use a fork to lift waffle off the grid. Repeat with remaining batter. sounds amazing! I've never tried yeasted waffles, but you've certainly convinced me! If you eat a waffle in the car doesn't the syrup drip onto your lap? What a find! This is definitely a keeper. Thank you!! I love it when a batter will keep in the fridge. You do have the refrigerator bran muffin recipe, don't you? They are to die for, too! Thanks -- sounds great! The recipe directions mention milk, but it's not listed in the ingredients. Help! Eek! Sarah...thank you so much for pointing that out. I've updated the recipe and I apologize for the confusion. That's what I get for late-night blogging. Let me know how you like them. Yum - pomegranate syrup. Tasty in & on many things. Try it in waldorf salad or any mixed drink calling for grenadine. We are lucky to have a pomegranate tree, so I can make my own juice & syrup. Such a great combination of sweet & tart. 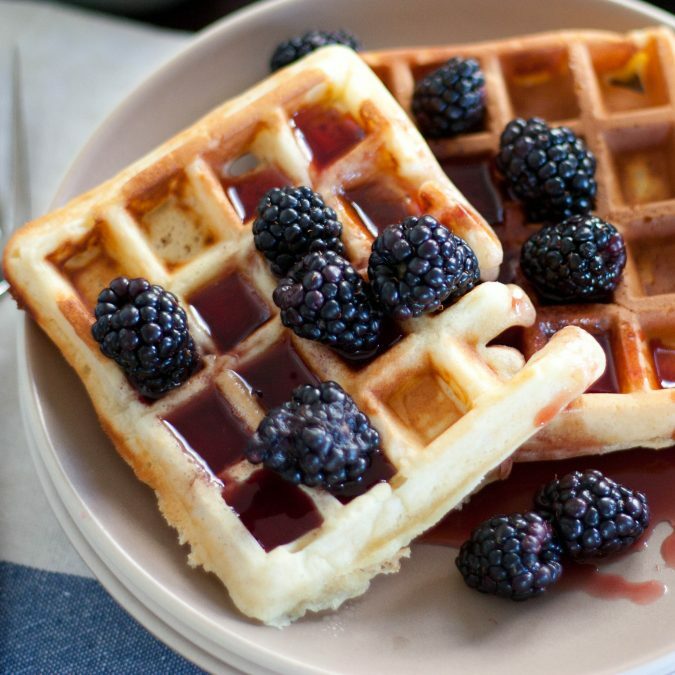 I love waffles, in any form but this is the third or fourth post I've read about yeasted waffles so I think I need to mix up a batch for clarity. Those moments of alone time at the table do seem uncomfortable, but they are so vital to the nurturing of who we really are, for that sense of self. It's a time to be able to really enjoy the food and comfort it brings, to feel it filling your body and really tasting every aspect of it. Learn to love those moments. Valerie: I don't know the bran muffin recipe. Would love it if you'd share! Lisa: No syrup in the car! I usually just do butter and cinnamon sugar. Suzanne: How lucky you are to have a pomegranate tree! They tend to be pretty pricey in the stores here, so that would be great. I haven't had breakfast yet so I'm almost licking my computer screen....oh my...they look soooo gooood!!!! Oh I have been craving waffles, this makes it worse! And I love that book too, might have to dig it out and re-read. Good gracious. My mouth is watering. These look heavenly! I rarely do it, but getting up a tad bit earlier so I can sit down for a quiet breakfast is a great way to start the day. You've inspired me to do that. Tomorrow will be the day! I've never had yeasted wafles before (heck, I've never *made* waffles before) but I think I need to change that pronto! Well aren't those some handsome looking waffles? The recipe I use isn't yeasted, but it sounds like a plan to have batter just waiting for you in the fridge, slow Sunday morning or not. What a great way to start the day! WOW, these look great! I need a waffle iron. 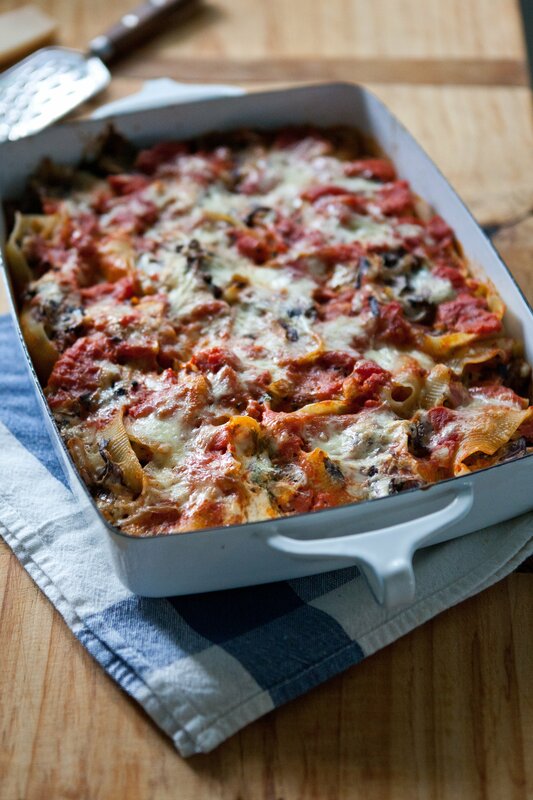 Great recipe and I like that you can make it in advance! I know why I don't make waffles than often but wish I did...no waffle iron :( Great pictures! Isn't it wonderful to find a little luxury in your mornings? Even if you're alone, there's nothing wrong with making a fuss over yourself; it's a bright spot in your day that you can go back to later, when you're running around and crazed and doing things for other people. I am a little late to the party but I loved Trail of Crumbs too! 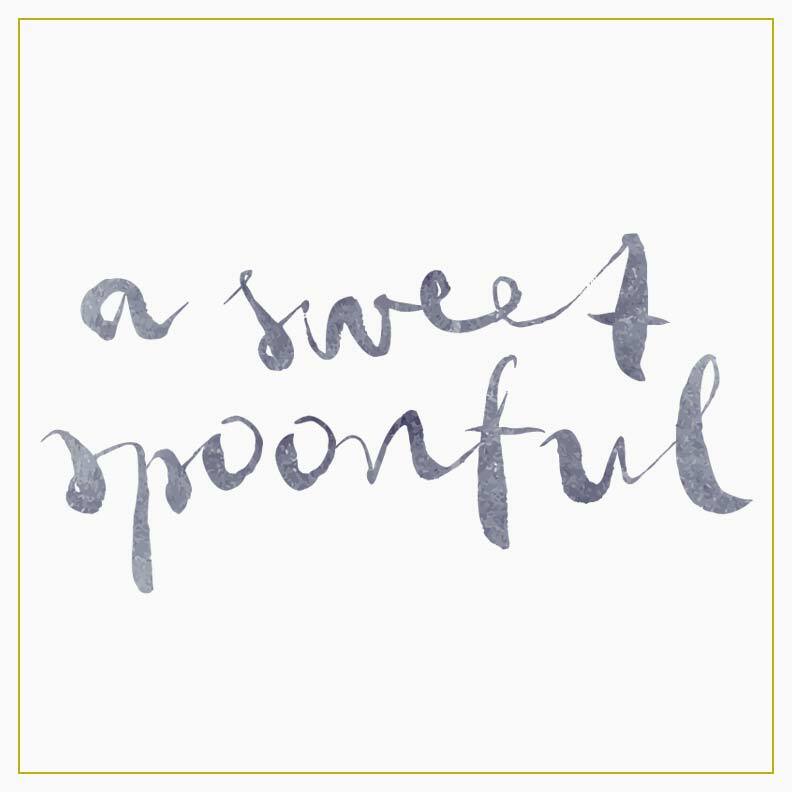 This is a beautifully written post and a fab recipe, as usual! These waffles look great. I don't make them often enough either. I've never tried making my own syrup for breakfast, but I like that idea. Pomegranate sounds like a lovely and luxurious place to start. Hi, Mary! Should be 7 grams. Great question; thank you.